The final segment of the Stories of the 2017 Catalog series centers on the cover shot. Sometime around March, I (Steven Marlenee) was asked to provide some additional pictures of Matt Entz to Klim for an upcoming advertisement campaign. However, by the end of March, my season was drawing to an end and I was regularly being sent back to North Dakota. By May, I still didn’t have the shots that I was asked for. I remember the situation as clear as day. I was sitting in North Dakota, disappointed, when Matt Entz called me. A major spring storm was fixing to slam into Colorado, and Matt asked me if I could ride. I was destroyed in that I would not only miss out on a great time, but was missing the opportunity to fill this final request to Klim. Although, I thought, this may be the opportunity to get something epic, even if it wasn’t me taking the pictures; and, I knew that Matt had recently purchased a good camera. I spent a little while on the phone with Matt, going over camera settings, and what I was hoping for him to grab, and then wished him good luck on the ride! I anxiously awaited receiving the raw files, and to hear the story of the day! Thankfully, not only was Matt happy to provide some great pictures, but he also was willing to write about his story. I hope you enjoy his writing and story of yet another awesome day on the snow. 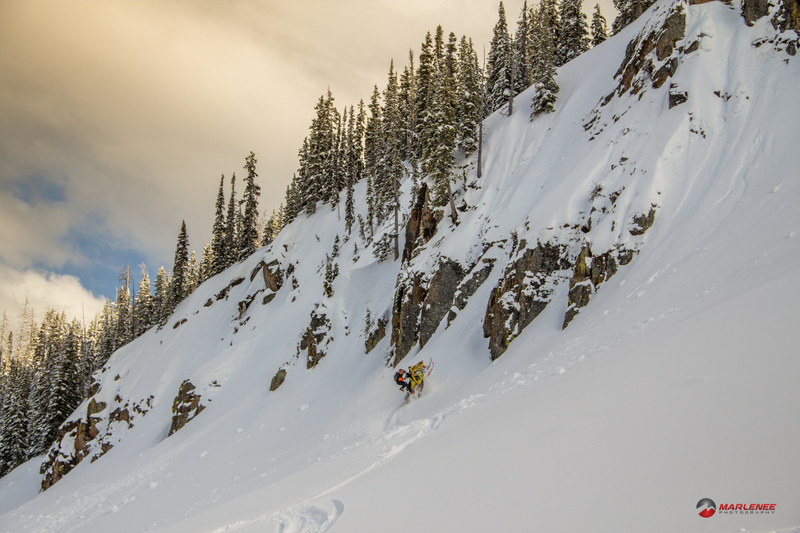 The first weekend in May has become famous for the annual ‘Spring Fling’ in which a huge group gathers to hang out, tell stories, enjoy phenomenal food, camp out, and raise money for avalanche awareness in Colorado. I was unable to attend but thanks to social media and numerous texts, I knew most of what was going on and the fun that people were having. I was also made aware of the hardpack snow conditions and not many people found it worth riding. This would be the last hurrah for most people and their snowmobiles were to be put away as winter was over. Winter is never really over in Colorado until about the 4th of July! Especially for a small group of people including Adam Onasch and myself. We noticed a decent chance for snow the couple of days following Spring Fling. As with just about every late season storm, we talked about meeting up for a ride if the storm produced. As we checked numerous snotel sites and forecasts over the next couple of days, Rabbit Ears showed surprising numbers. Either there was a malfunction with their equipment, or we were in for another powder day in May! It was decided that Adam and I would meet early in the morning to take advantage of the mid-winter conditions. Normally it’s pretty easy to talk Steven Marlenee into joining us if he’s anywhere within about a 500 mile radius and can sneak away from work. However, on this occasion he could not get away but asked if we could try to get some photos if conditions were as good as we told him they would be. Something else that Adam and I have in common is that we both struggle with meeting at the time we intend. That being said, with both of us running late we usually arrive at the same time. Not to ruin tradition, we arrived at Alpine Motor Sports/VOHK in Kremmling about 30 minutes later than planned on the morning of May 10th. While picking up a few last minute items and checking the snotel one last time, it appeared that Rabbit Ears had picked up about 30 inches over the past few days. We headed up the pass with optimistic excitement. The parking lot that was a mud-bog just a few days prior was now covered with about a foot of new snow. We quickly unloaded and put on our Klim gear. 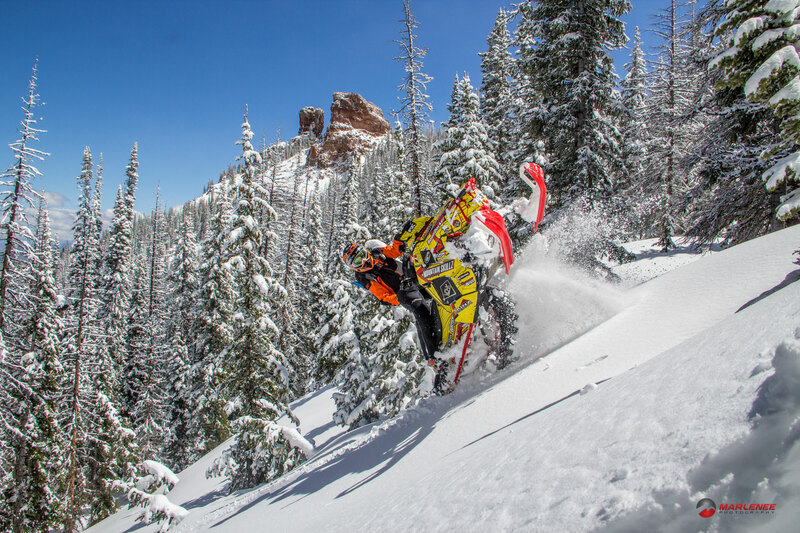 There are many incredible positive aspects for me turning snowmobiling into a business and a job. One of the only downsides is that I don’t get to ride with my friends hardly ever aside from the first few storms of early season and very late season after I am done working with clients. Adam has been one of my favorite people to ride with since meeting in 2010. 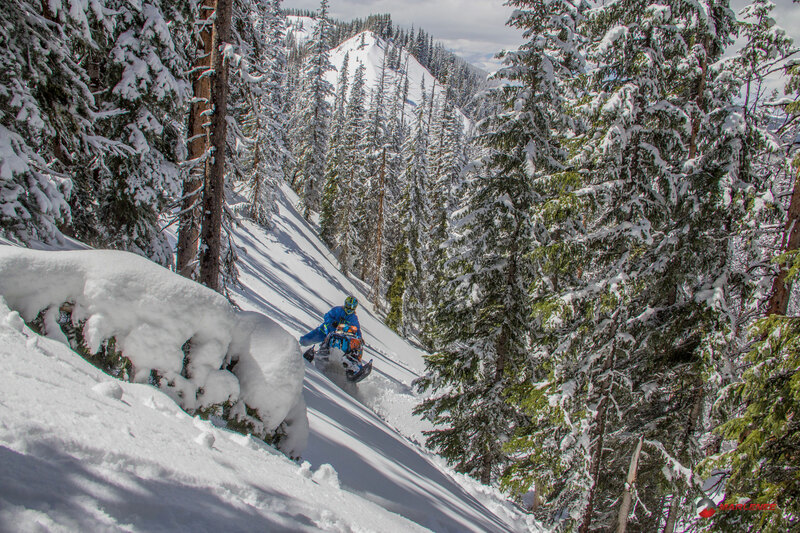 We know that the other is up for any adventure and every challenge of exploring the backcountry. We often laugh at ourselves and each other when we see the places we get stuck and even more so, some of the silly spots that we somehow make it through. As we left the parking lot on our Polaris AXYS RMK’s, we were happy to feel the fresh snow but the sunlight and warm temperatures had already taken a toll and the snow was very sticky. There wasn’t a cloud in the sky, which is rare in this area. It was decided to head towards the ‘Ears’ as conditions are always better once you drop off of the ridge to the north. Like flipping a switch, the amount of new snow seemed to have doubled as we dropped off into the trees! The snow was still sticky and a bit of a challenge to ride in, but it was awesome to ride fresh snow again. Steven had mentioned looking for a place with an epic view. I looked up and noticed we were in a spot with a nice view of the ears combined with a perfect blue sky and snow covered trees. I took out my camera and handed it to Adam. With the wet sticky snow, it took all that my VOHK built&tuned BoonDocker SIDEKICK turbo had to wheelie up the steep hill. I made a few more lines up the hill and through some of the tight tree gaps. Some seeming to go as planned and a couple others that resulted with me holding on for dear life as my sled went its own direction into the trees below. The rest of the day was spent chasing each other through the most fun and challenging areas the zone has to offer. There were a few stucks along the way and spurts where we did not see each other for 10-15 minutes at a time. We stopped at an area known as ‘Pat’s Bowl’ to rest and enjoy the view. Looking north, the mountains fade into the flats for as far as the eye can see. The snow had formed a nice natural jump that we couldn’t pass up hitting a couple of times with another nice backdrop. From there we worked our sleds across a fun technical section that leads to the main path from the highway to Buff Pass. We decided to continue west in hopes of a good sunset view (no ride with Adam ends before dark). Clouds were gathering over the town of Steamboat Springs for what I thought would make for another ‘epic’ background. The colors never quite came together so we made the most of it with a few wheelies as the sun disappeared. By this point we were both nearly out of fuel and knew it was time to head back. Led by the bright spotlight of our Frankensled helmet lights, we raced back to the parking lot to finish off one of my favorite rides of the season. I sent the photos from the day to Steven for review and his editing touch. I was beyond satisfied from the awesome ride with Adam and had no expectations for the photos. Low and behold, a few months later I found out that one was going to be used for the cover of the Klim 2017 snow catalog! 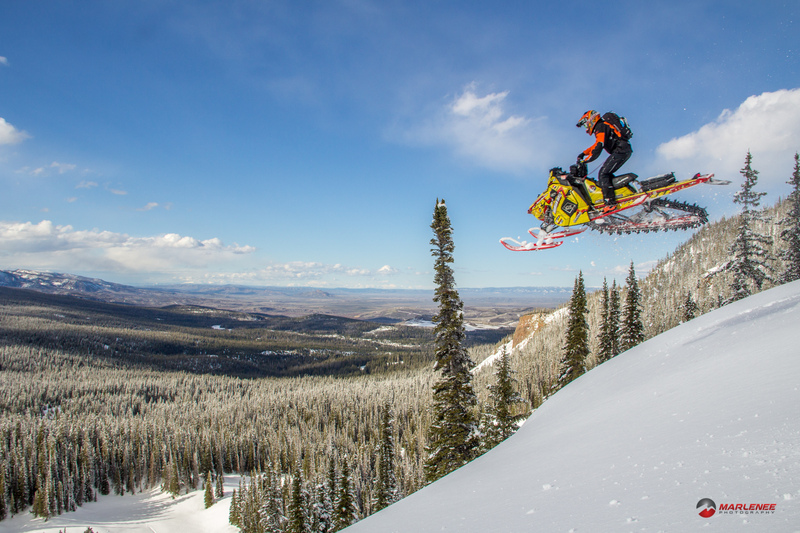 It is an absolute honor to work with and represent Klim. This would not be possible without the help of many people along the way. For this specific opportunity, I would specifically like to thank Klim for featuring the photo, Steven for your hard work and dedication, and Adam for taking the photo.